The organization raising money to renovate the Illinois governor's mansion says the most pressing need is replacing the ailing roof on the 160-year-old building. The Illinois Executive Mansion Association said in a news release Friday that the organization plans to provide construction specifications to contractors interested in repairing the roof. Jeff Evans, a volunteer with the association who owns a Springfield architectural and construction management company, said it's important to replace the roof "as soon as possible." Leaks from the roof — which hasn't been replaced in 45 years — already have caused water damage inside the mansion. "We must make it watertight to combat future leaks and further interior damage," Evans said. 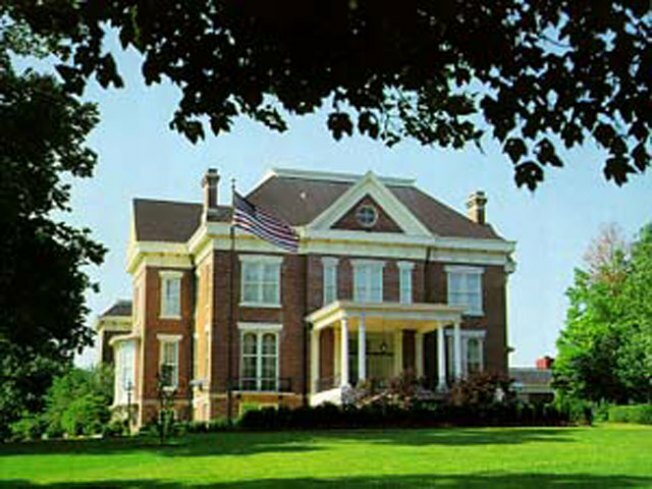 The Illinois Executive Mansion is the third-oldest governor's residence in the country. But it has fallen into disrepair in recent years, with a flooded basement, peeling paint and an elevator that doesn't function. The initial cost of the renovation was estimated at $8.8 million, though association spokesman Max Bever told The (Springfield) State Journal-Register the group expects to have the results of an engineering and architectural analysis of historic restoration costs soon. Gov. Bruce Rauner has said all repairs will be paid for with private funds, and fundraising is underway. Bever said recent heavy rains haven't caused significant additional damage to the mansion.